When most people think of renovations, they think of adding in new color schemes and furniture pieces to change up the style of their apartment. Renovating can also involve transitioning to a more conservative living environment, and it’s never too late to “go green” in your apartment. “Going green” may seem like a time-consuming and costly project, but there are many small changes you can make to your home that won’t break the bank. Are you ready to “go green?” Here are a few tips to turn your apartment into an environmentally-friendly home, while also saving money. 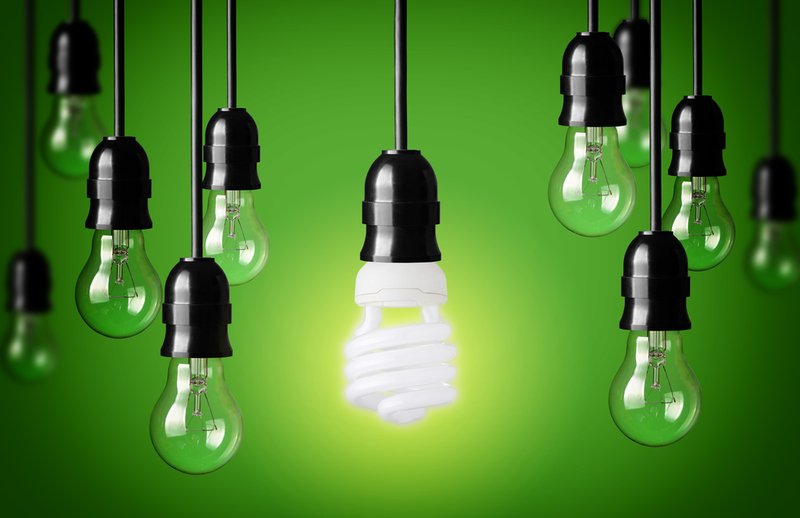 Switch up your lighting: One way to save on energy costs over time is to change your light bulbs to compact fluorescent lamps (CFLs) or light emitting diodes (LEDs). According to ENERGY STAR, these bulbs can last 10 to 25 times longer than traditional bulbs, while also using 70 to 90 percent less energy. With longer-lasting bulbs using less energy, you’ll be saving a lot of money. And with all the money you’ve saved, you can go out and get the latest and greatest in home décor, such as a new, sleek lamp to hold your new bulbs. Unplug, unplug, unplug: What do TVs, computers, printers, video game consoles and blenders all have in common? They all consume energy even when they are turned off. Did you know that these plugged-in devices can account for an additional 10 percent or more on your monthly utility bill? Don’t feel like individually turning off each device in the room? Using power strips will allow you to control the power of a several devices at once, making the task easier. Put up shades or curtains: Instead of putting your air conditioning on full-blast during those scorching summer months, try putting up shades or curtains. By keeping your curtains closed during the summer, you will block out the sunlight that tends to creep in and heat up your home. When the winter months come around, keep the curtains open to allow natural light to pour in through your windows, which will reduce the need to crank up the thermostat for heat. Depending on the season, the simple act of opening or closing your curtains can help shed dollars from your electricity bill. Consider air drying: There’s no denying it – dishwashers are convenient. However, they can be costly when it comes to using water. By choosing to wash your dishes in a sink and air dry them afterwards, you’ll save on utilities. While it may not be realistic to hand wash your dishes every time, getting into the habit of doing it on a regular basis will conserve water over time. “Going green” doesn’t need to be a costly project for your apartment. If you’re ready to revamp your interior design and be more resourceful, remember these simple tricks and get started! For even more information about going green in your apartment, check out our handy guide here.